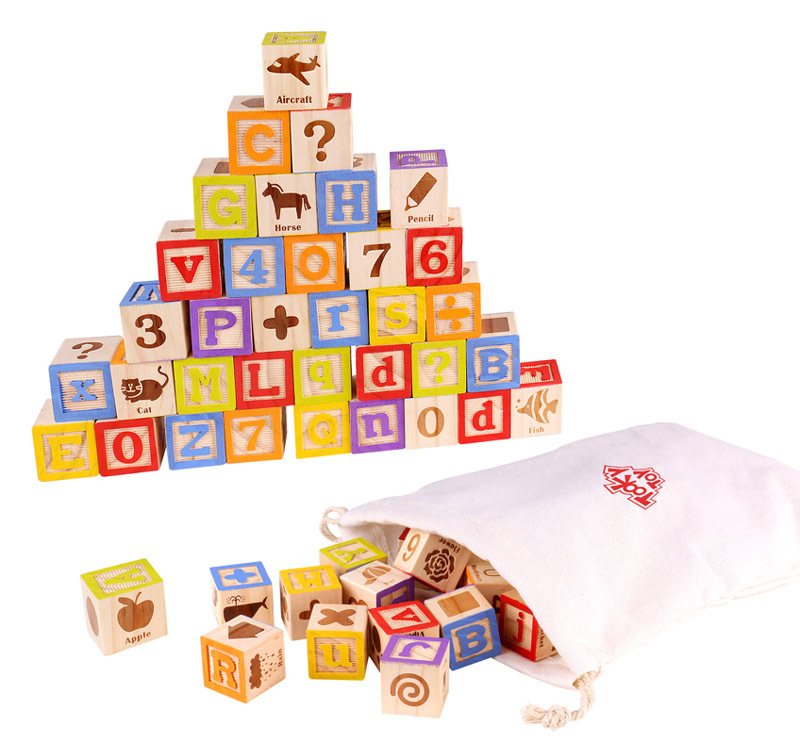 Educational Alphabet & Number ABC Wood Blocks are a simple classic learning toy. Fifty wooden ABC blocks embossed with letters and numbers in bright primary colours are great to play and build with. These blocks are a perfect way to introduce your little one to the alphabet and counting as they create towers and walls. These little blocks are perfect for small hands and all 50 pack away into a handy drawstring cotton bag . We like this because: "Learning as you stack and build what more can you ask. "